Efficio maximizes the potential of your media sales organization. We help Account Executives organize their days and keep track of their business. 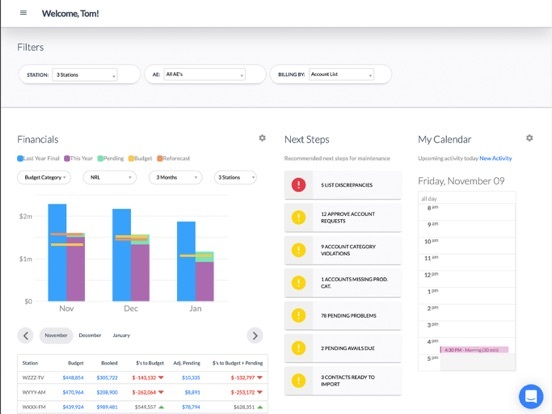 Managers and executives can monitor financial performance and share insights across their properties. Our products are focused, easy to use and constantly evolving with the media sales industry. We integrate with over 20 other industry providers to provide seamless links to your traffic system, ratings and more. With the introduction of the Efficio mobile app you can now access all features of Efficio from anywhere. 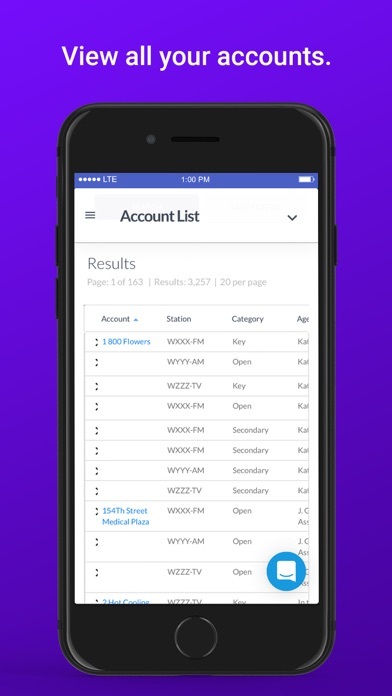 Efficio desktop users will feel comfortable in the new mobile app due to the familiar pages and navigation. -Store and access key customer contact information all in one easy location. - Monitor your financial performance and goals. 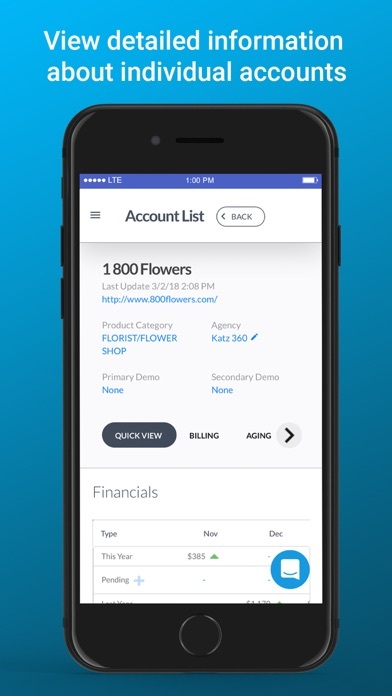 -Organize your Account List to better manage workflow. -Prioritize accounts using Account Categories. Implement Strategic Account Management and ensure you are working on the highest priority accounts with the best potential. - Keep on top of account collections ensuring that you get paid the commission that you earned. -Track your latest activity with an account and set reminders for next steps to keep you on task. -Communicate more effectively between managers and the sales team about pending dollars and timing. -Set the lowest and highest potential rates and dynamically update your pricing based on current inventory supply levels. -Zero in on specific high demand areas to protect your most valuable inventory. -View the inventory that is pacing ahead and likely to sellout. Our Corporate Rollup product allows executives with multiple media properties to maintain a high-level view of the organization. 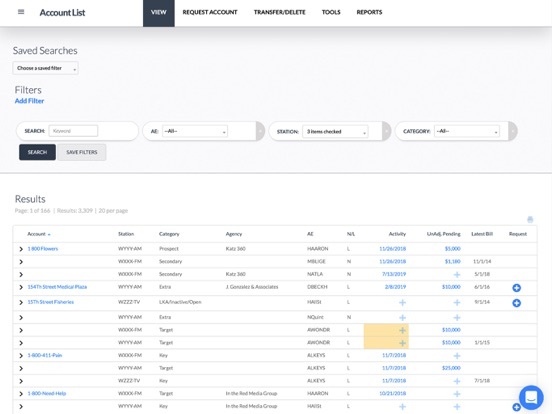 View all properties individually and in aggregate to see the most important financial metrics. In addition, customers using Efficio Yield Management can also monitor and implement price at a corporate level. Centralize your pricing operations and take advantage of large national deals across your network of properties. ShareBuilders customers rely on in-depth forecasting analysis during weekly calls to help them accurately price their inventory. We’ve enriched that experience by integrating key Efficio data into ShareBuilders. Historical booking and current pending data provides a clearer picture of booking patterns and removes the guess work of figuring out early/late revenue. 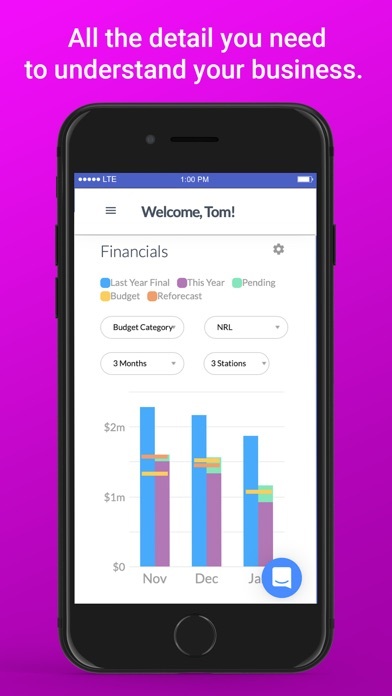 You’ll have dates and amounts spent for your top 20 accounts at your fingertips. -Use Tapscan proposal to automatically update Pending in Efficio. -Populate Tapscan rates automatically using Efficio Rates. -Receive alerts when rates are out of date and no longer valid. 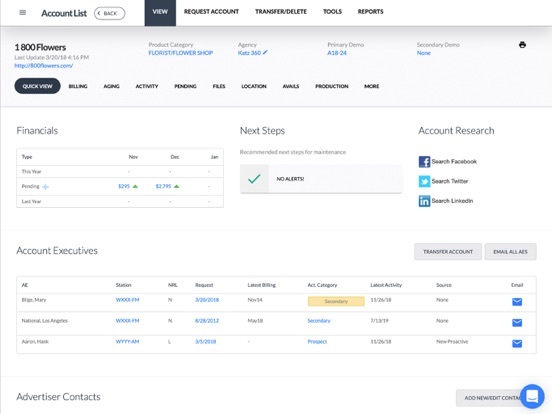 -Managers can view demand for inventory that is in Tapscan but not yet booked, giving more visibility to the question of whether to accept low-ball deals or hold your price firm. -Managers can ensure proposals adhered to the rates they authorized. Better external link handling and other various bug fixes.